Hi, having been blessed by the wonderful sharing of the Bloggers’ sphere, i am finally inspired to do likewise. Having had the generous and wonderful sharing of bloggers aplenty, as i have been richly blessed, i would like this blog to be a blessing. To begin with, i confess – i am not an art lover nor an artist. I started out with a passion to TEACH. Art is my forte. Literature is my delight. That’s how i became an Art educator. It took 5 years of training in the National Institute of Education (NIE) for me to grow in tune with art and now to live it out in the lives of my three little joys (two energizers and one sweetie pie aged 5,4 and 2 respectively in 2013). My love is in teaching souls. Why do i elaborate on this artistic aspect? Simply because as a Singaporean, our values for the arts, unlike our western counterparts, have been under valued. 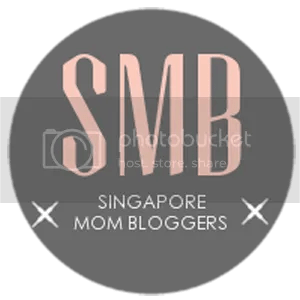 This blog is just an endeavour to encourage and inspire fellow Singaporeans to learn how to once again PLAY, have FUN, Make ART and not be afraid of MESS. I also strongly believe in the art PROCESS being as important or sometimes even more important than the final PRODUCT. We empower our children to grow up without the need for the TV, the I gadgets, and multimedia entertainment and keep them from being ‘bored’ through the means of Art. To help them become imaginative, creative by using their own faculties of mind and all the 5 senses to engage themselves meaningfully in life without the need for adults to constantly provide ‘entertainment’ for them. Living in Singapore, means limited resources, land, places to go and little nature to explore as compared to our neighbours. I hope this blog can help us see things in a different perspective. Creativity doesn’t occur in limitless supply. Creativity comes in when there are limitations to a certain situation and one is forced to think ‘out of the box’ to solve a problem. In other words, creativity is born within constraints. As a recycler, coupled with this belief, i actively seek to use anything that can be reused for my children’s ‘Play’ and art making. In our local term, my hubby confers me the first ‘Karang Guni lady’ in our block. And with good reason. I am alert to any discarded cardboxes below the block, friends and family members automatically give me their unwanted ribbons, boxes, wrapping papers, boards etc. you get the picture. Yes, this blog is also about how to promote play with little cost and yet achieve a creative and thinking mind. There is of course a place for quality toys and if we can afford it, we might look into investing them over cheaper and easily damaged versions. However, the key here is in promoting creativity with whatever supplies we have. In the midst of all these artsy talks, our family belongs to the Lord Jesus. Jesus is also the talk of our family’s daily routine. We want to attribute all creativity to the CREATOR of us all. God the Father. In this blog you will find out more on how we strive to nurture these three little hearts in the Lord’s ways through our daily conversations (prayers) with God and how we learn to listen to Him (through reading the Bible) and thus grow in our relationship with the Lord Jesus our Saviour. May your hearts be blessed as you journey together with us! Very excited to follow along! May God bless you in your journey! Amen!thank you!so looking forward to the great dough play ahead! God bless!